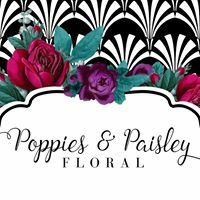 Poppies and Paisley have been known for quality floral arrangements and a unique style. We bring sophistication to weddings and a variety of events throughout the Pacific Northwest. We get just as excited as you do about your event, so when you choose us as your florist, our goal is to ensure that the event will be as stress-free as possible. Our wedding consultants have years of experience, undeniable work ethic and a huge wealth of knowledge. We enjoy working with brides of all ages, styles, and tastes. Planning a destination wedding? Not a problem! We are more than happy to accommodate if digital meetings and phone consultations are necessary.